As educators, we are all reading specialists to some degree. Develop the skills required of reading specialists—literacy development, assessment, and instruction — with a master’s degree in Reading Education from Vanderbilt University's Peabody College. Reading for pleasure makes a big difference when it comes to a child’s performance in the classroom. Students who read every day perform better on tests, develop a broader vocabulary, and gain a better understanding of other cultures. As a reading educator, you’ll foster this love of reading in the classroom and beyond. The Reading Education program in the Department of Teaching and Learning is designed for licensed teachers or those with equivalent teaching experience who want to focus on literacy development, assessment, and instruction of students with diverse learning and literacy needs. 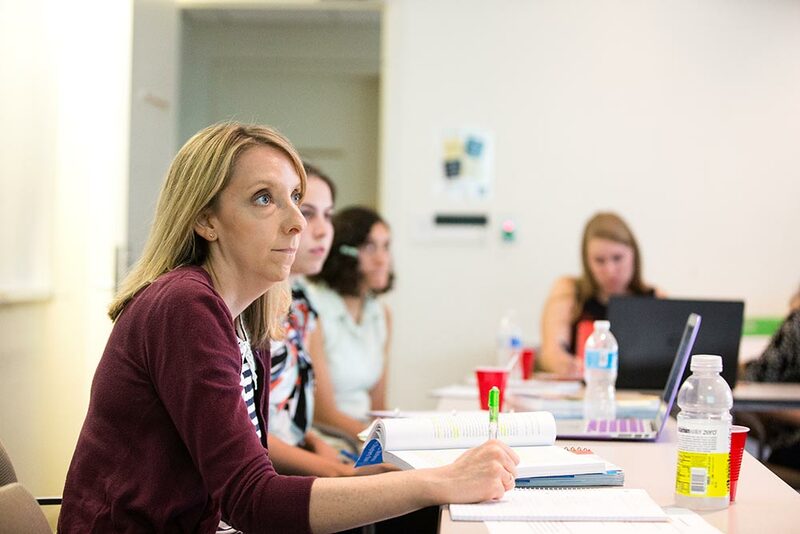 The three-semester program meets the standards of the International Literacy Association for Reading Specialists/Literacy Coaches and National Council for Accreditation of Teacher Education. Program Director: Emily Pendergrass, Ph.D. Alumni can be found working as academic intervention specialists, reading specialists, literacy coaches, educational specialists, classroom teachers, and out-of-school literacy program coordinators. 100% of 2017 Reading Education graduates were employed or attending graduate school within four months of graduation. 1st Grade Teacher, St. Andrew's Episcopal School, Jackson, Miss. 3rd Grade Teacher, Walnut Grove Elementary, Franklin, Tenn.
4th Grade Teacher, Metro Nashville Public Schools, Nashville, Tenn.
10th Grade English Teacher, Edmond Public Schools, Edmond, Okla.
Literacy Coach, Nashville After Zone Alliance, Nashville, Tenn.
Reading Specialist, Madison Middle School, Nashville, Tenn.
Research Specialist Provider, KIPP LA Schools, Los Angeles, Calif. Teacher, Currey Ingram Academy, Nashville, Tenn.
One of the greatest strengths of the Reading Education program is the varied, multiple field opportunities available to you. Through partnerships with several area public schools, you’ll gain experience in teaching and assessing P–12 students and collaborating with and supporting teachers, paraprofessionals, and other colleagues. In addition to these experiences, you’ll also have the exciting opportunity to engage with teachers and students in cities like New Orleans and Memphis schools through on-site trips where you will aid teachers in literacy diagnostics, small-group instruction, teacher development, and parent literacy nights. Many of our students also work as teaching assistants for undergraduate education classes, a rich experience of learning about teaching through practice alongside a Vanderbilt education professor. We’ve also partnered with Cypress Academy, a charter school in New Orleans. Traveling to Louisiana provides you with the opportunity to take part in educational workshops, design next-step instruction, and observe teachers. Through a partnership with GRAD Academy in Memphis, Tenn., you’ll have the opportunity to assist with with reading assessments and contribute to developing of literacy instruction for high school students. Peabody's master of education program in Reading Education is a 3-semester program designed to fulfill the requirements for an add-on endorsement as a reading specialist. Careful selection of coursework can lead to dual English language learners (ELL) and reading specialist endorsements. At least two of the following four areas must be represented. Department faculty work in research and teaching collaboratives that include both theory and practice-oriented scholars. They share an interest in the relationships between student learning and where the learning takes place and a commitment to mentoring your success.